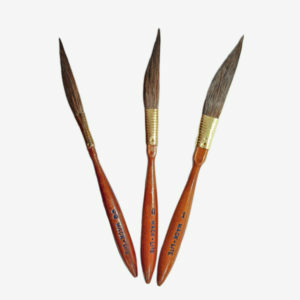 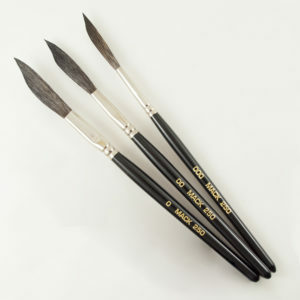 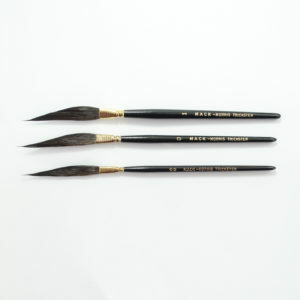 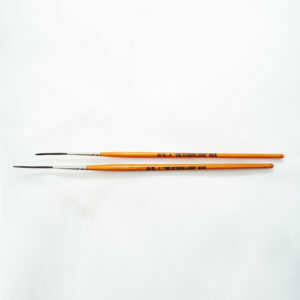 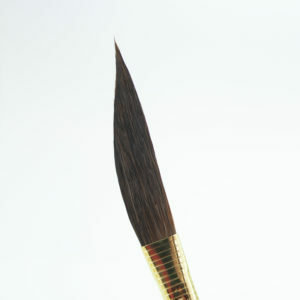 The long awaited follow up to his sold out ‘SQUATCH WHISKERS 000 striping brushes. 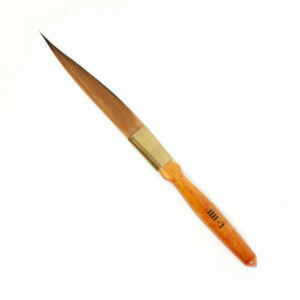 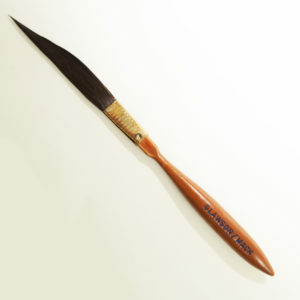 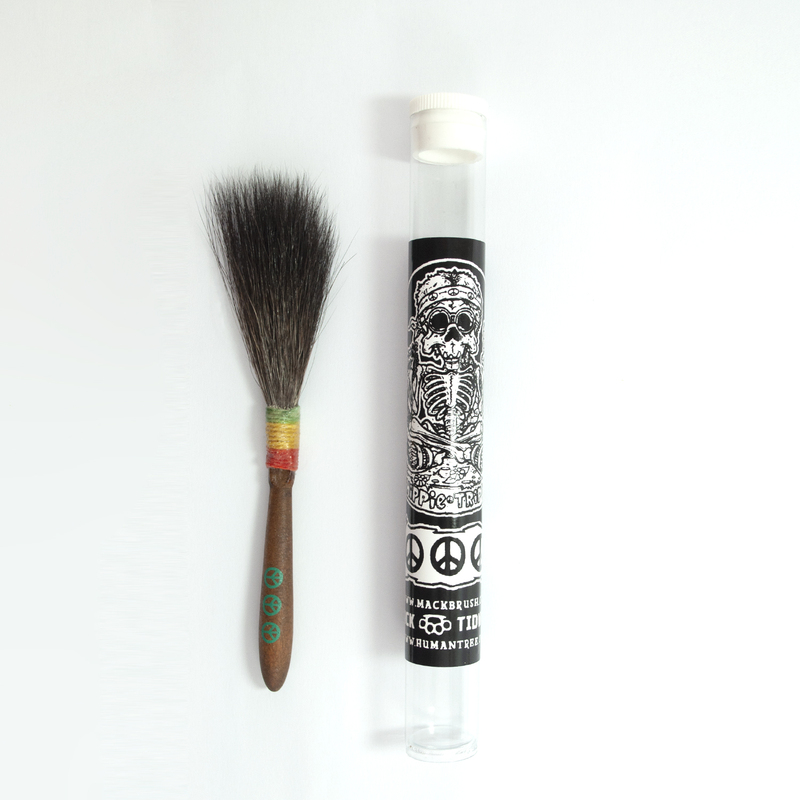 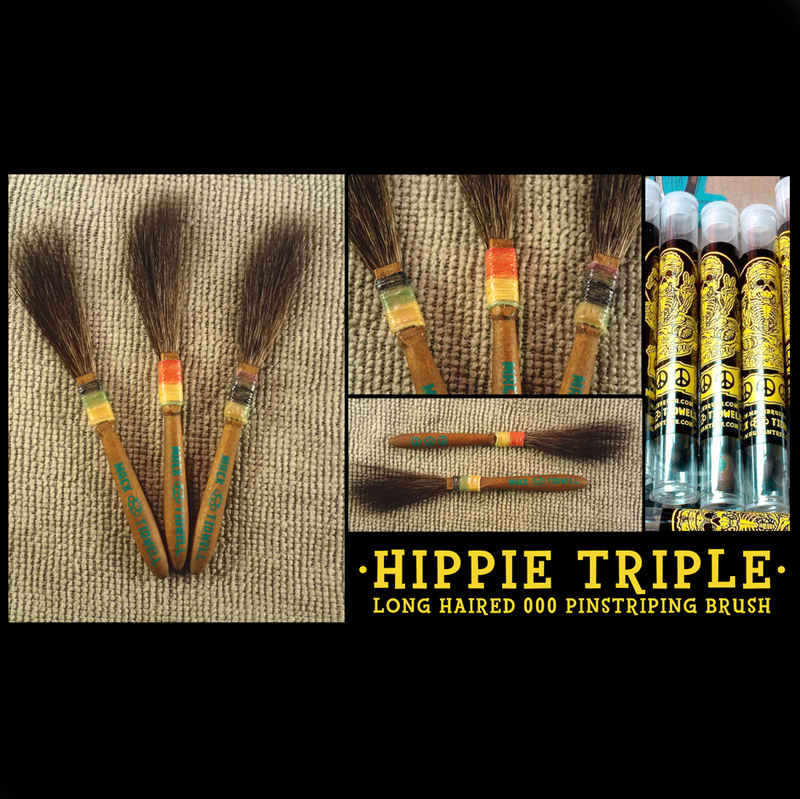 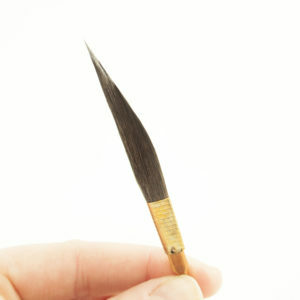 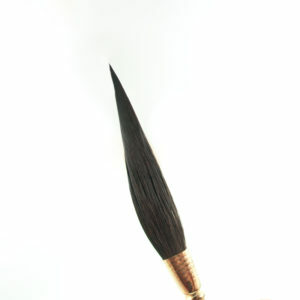 The HIPPIE TRIPLE is a 000 size brush with full length hair. 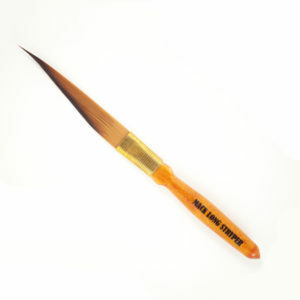 These bad boys handle like a sports car and carry enough paint to actually get some lines thrown down without having to re-load. 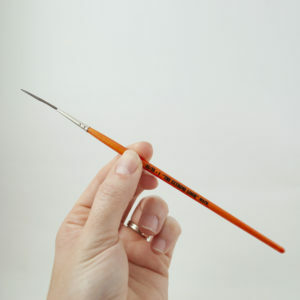 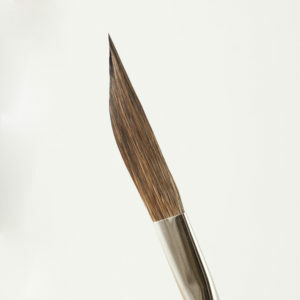 This is a real striping brush that happens to make really fine lines.